The Special Interest Group (SIG) for Acoustic Metamaterials (SIGAM) is concerned with the development of metamaterial devices to create control of sound and elastic wave vibration using subwavelength resonators. 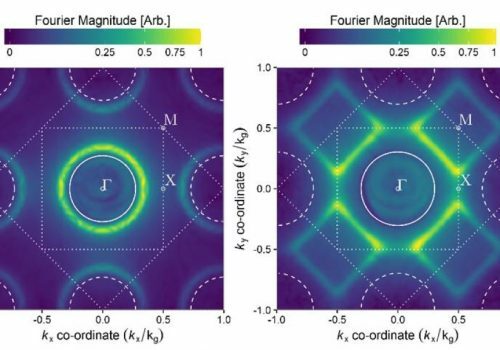 The SIG will also maintain an interest in related areas such as phononic crystal, and other structured media as well as treated acoustics in the broader sense to involve elastic metamaterials such as seismic and ground vibration devices. The SIG will also interface with the active electromagnetic metamaterials and antenna community to ensure that ideas flow freely from one area to the other. Applications to sound proofing, redirection of acoustic fields, lensing and negative refraction media will all fall within the initial remit of the SIG. The principal function of the SIGAM is to provide a forum for researchers, practitioners and users of acoustic metamaterials, covering analysis, modelling, design and validation, across all possible applications of acoustic metamaterials. The UK has held a strong position internationally in metamaterials with much of the original impetus for the field coming from UK science. It is essential that this momentum be maintained and the SIGAM will take steps to: (i) increase the national profile and importance of acoustic (and elastic) metamaterials; (ii) increase the number of early career researchers in acoustic metamaterials and provide support for their career development; (iii) increase the number of contributions to journals and international conferences in acoustic metamaterials; and (iv) to promote joint meetings and activity between academia and industry. The value of research in metamaterials will be linked to identified national challenges, the UK industrial strategy and strategic areas for research development such as the creation and design of Advanced Materials. The SIGAM should also develop ways to capture different stakeholder valuations of research in this area and to demonstrate the wider value to public life and its impact on society and the economy. To support this the SIGAM will draw together researchers and practitioners across academia, industry and government, with the aim that the membership of the SIGAM will have a representative from all UK based institutions concerned with acoustic metamaterials, and encourage participation and contributions from users in other parts of industry and government, The SIGAM will also work closely with the other SIGs to identify needs where metamaterials can contribute in other areas of acoustics. The SIGAM will divide its efforts between a series of workshops, conferences, and other scientific events to exchange ideas and promote discussion between researchers, practitioners and users and a set of specific objectives. Some of the specific objectives that have been identified include: (i) to produce a picture of the UK research landscape over the past 3 years considering such aspects as research trends, priorities, and funding; (ii) to produce case studies showing the value, potential and impact of acoustic metamaterials; (iii) to produce an overview of current research priorities for practitioners and users; (iv) to assess potential sources of funding for research priorities; (v) to assess expertise available to support research priorities; (vi) to develop a list of up to 3 grand challenges in acoustic metamaterials; (vii) to develop strategy to address gaps in senior representatives, early career researchers, and available expertise (if appropriate). In parallel, the SIGAM will identify useful resources for metamaterials to be included on the UKAN website (www.acoustics.ac.uk). This will include a series of online educational resources, such as online seminars, events, such as grant writing workshops and conferences, and databases, such as lists of available facilities, models, and who knows what. These objectives will be discussed and agreed between members in the first six months of the network. It is expected that a small management team will be established to coordinate the planning of scientific events, and other core SIGAM meetings, and sub-teams of members will be established to address the specific objectives. The management team will include at least one early career researcher.